The Beirut Daily Star reported Thursday that according to family members of the kidnapped pilgrims and one released captive, two of the men in pictures taken with McCain are Anwar Ibrahim and Mohammad Nour. 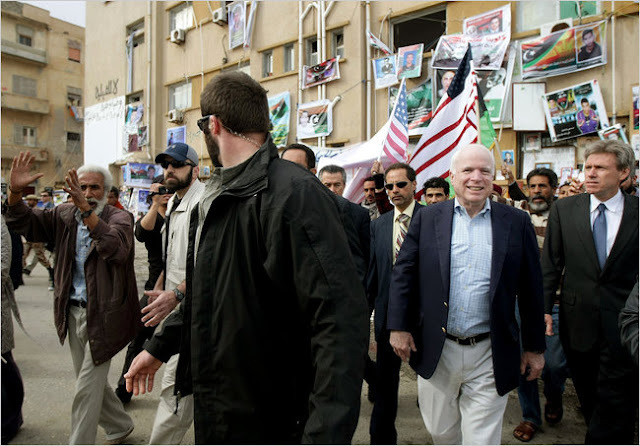 According to witnesses, McCain’s Syrian “heroes”, among other atrocities, have been blamed for the Houla massacre in 2012. Last May, they were also blamed for the chemical weapons attacks by UN investigators. 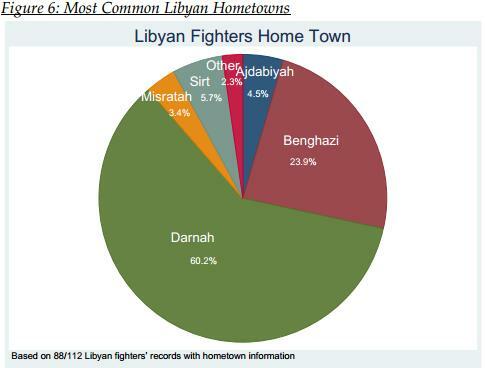 These “heroes” are known to be or have links to terrorist organisations designated by the US State Department as Foreign Terrorist Organizations, such as the Libyan Islamic Fighting Group (LIFG) and Al-Nusra now fighting against Assad in Syria. These actions are far more scandalous than slacking on the job playing poker on an iPhone. Yet, this is what makes the news. 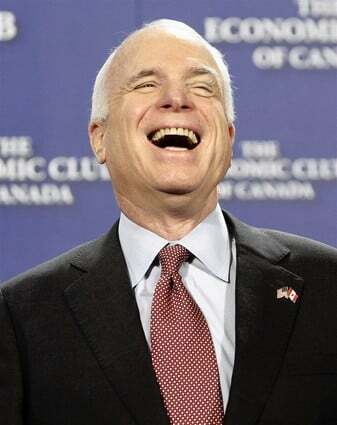 Senator John McCain is a criminal who provided support to terrorist groups. He belongs in jail, not in the US Senate.